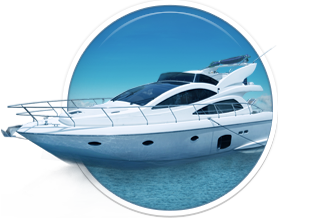 The boat is available in marina: Split, Trogir, Sibenik. 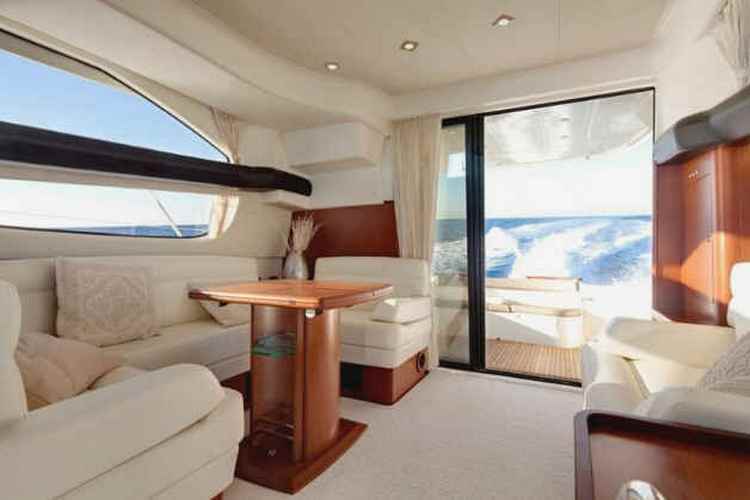 Jeanneau Prestige 440 is a motorboat available for hire / charter in Croatia. 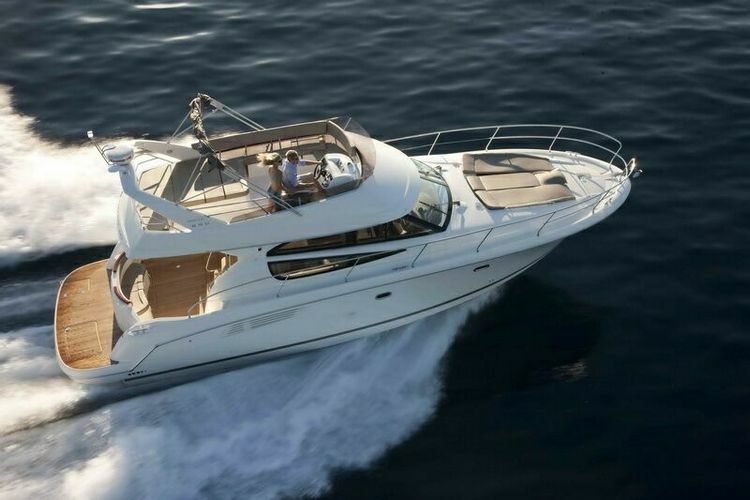 At just over 13 meters, this motorboat is the smallest we offer in its class, but nonetheless a nice modern boat for your perfect Mediterranean vacation. 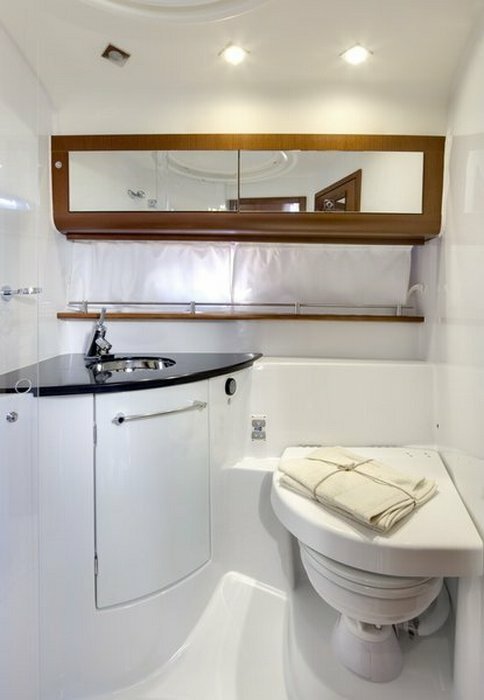 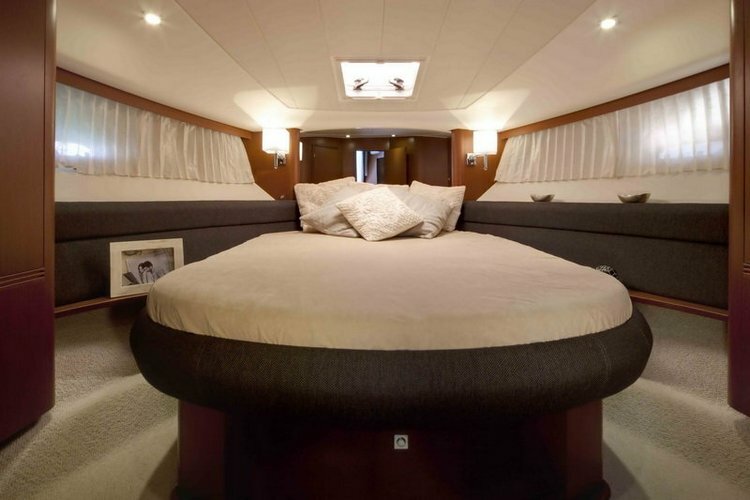 The large flybridge gives you a sense of freedom when speeding on the sea surface, and also makes for a great sunbathing area .A huge stern platform helps you comfortably access the sea at any time leaving enough space to comfortably spend time on, and it comes as an specific extension to the boat’s deck. 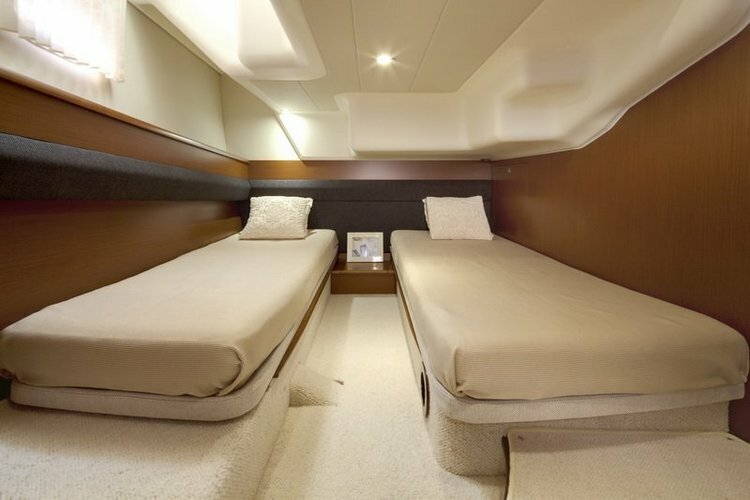 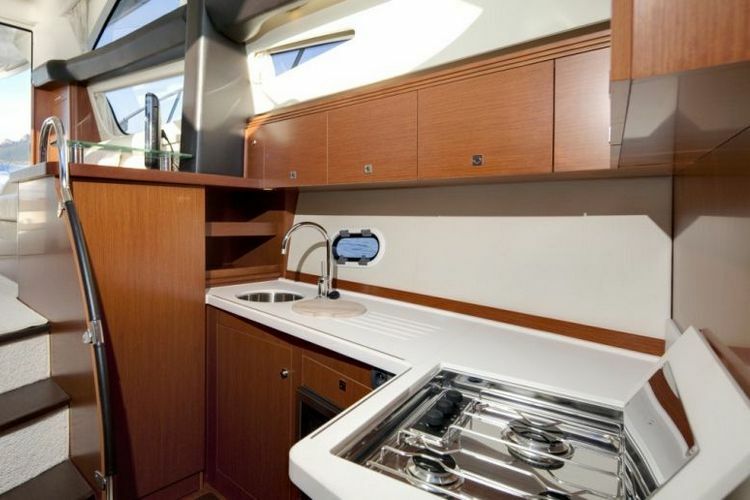 The interior comfortably accommodates 6 with 3 luxurious and large cabins. 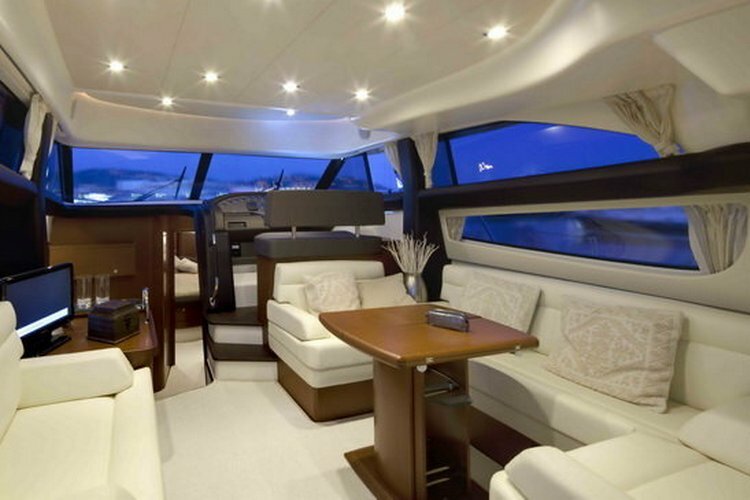 The entire interior is made with an eye for the modern design, comfort, and luxury! 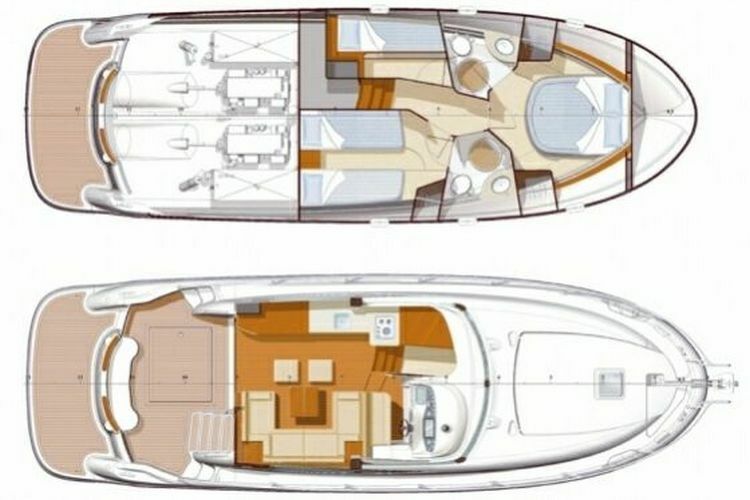 Here you can find basic information about Prestige 440. 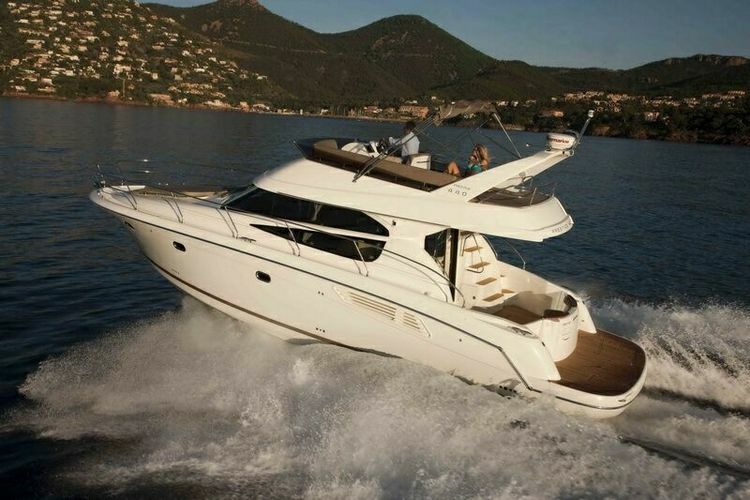 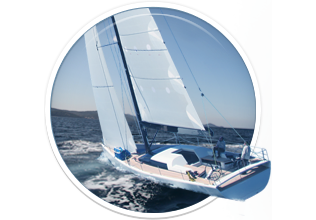 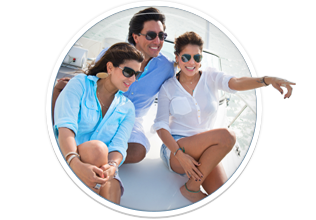 Other specifications, can vary from boat to boat, therefore we recommend to search for particular Prestige 440 from our database, in the destinations of your preference.